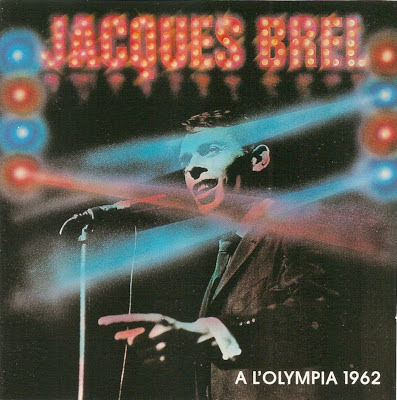 Jacques Brel (8 April 1929 – 9 October 1978) was a Belgian singer-songwriter who composed and performed literate, thoughtful, and theatrical songs that generated a large, devoted following in France initially, and later throughout the world. 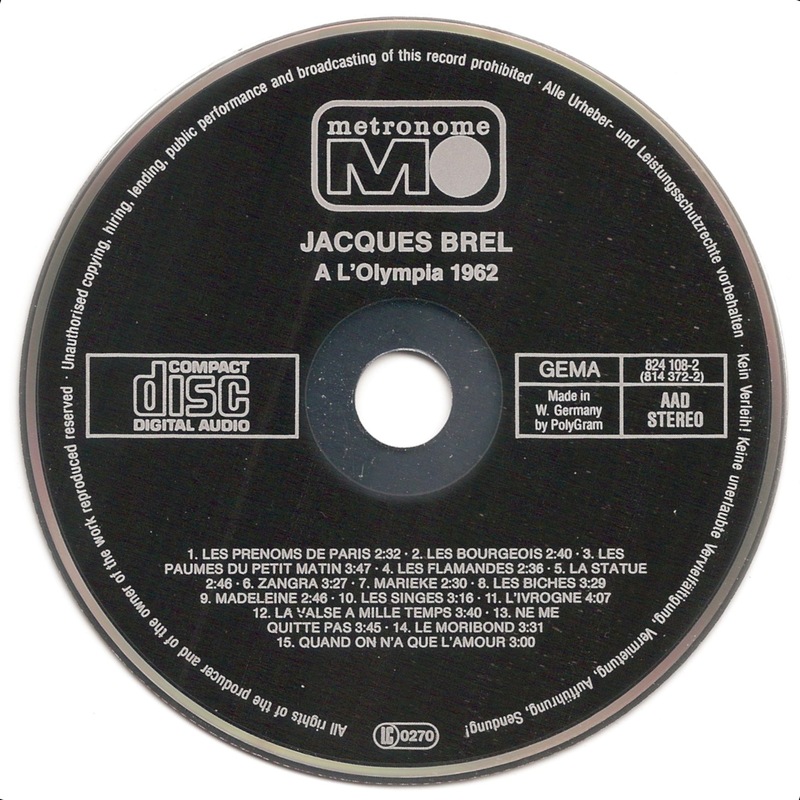 He was widely considered a master of the modern chanson. 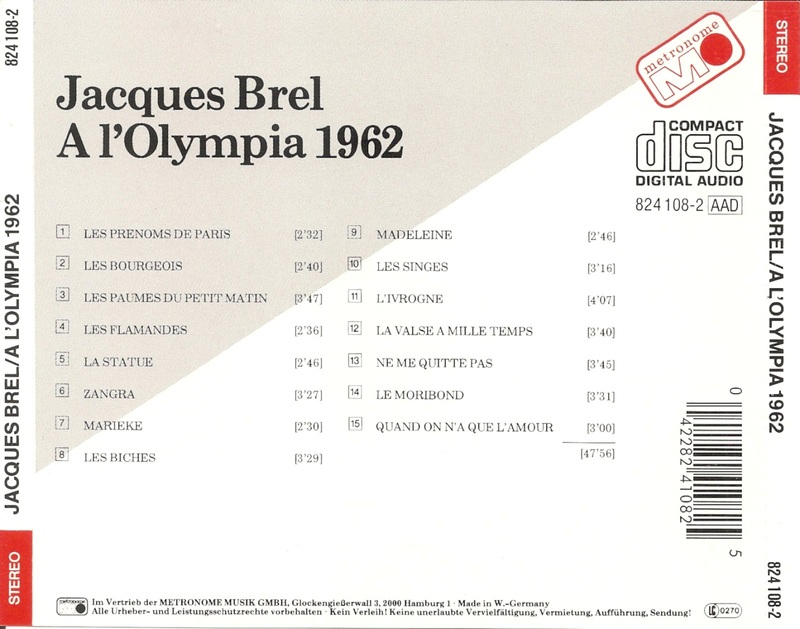 A l'Olympia 1962 is a live album by Jacques Brel.